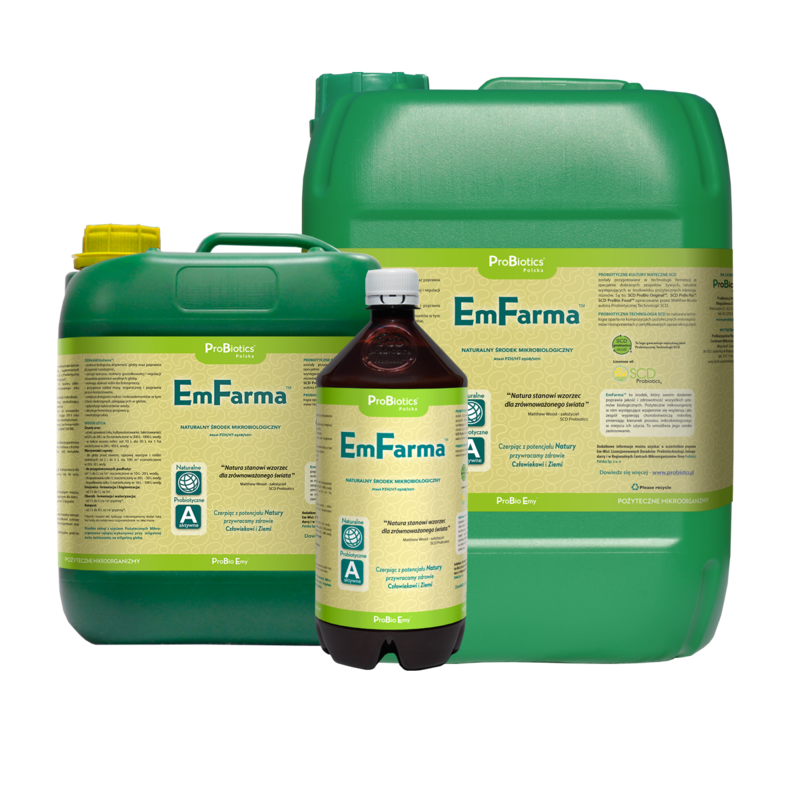 EmFarma Plus™ is a composition of microorganisms enriched with phototrophic bacteria, as a result of which it is even more effective than EmFarma™ in accelerating the decomposition of organic matter and increasing the availability of minerals, especially nitrogen. 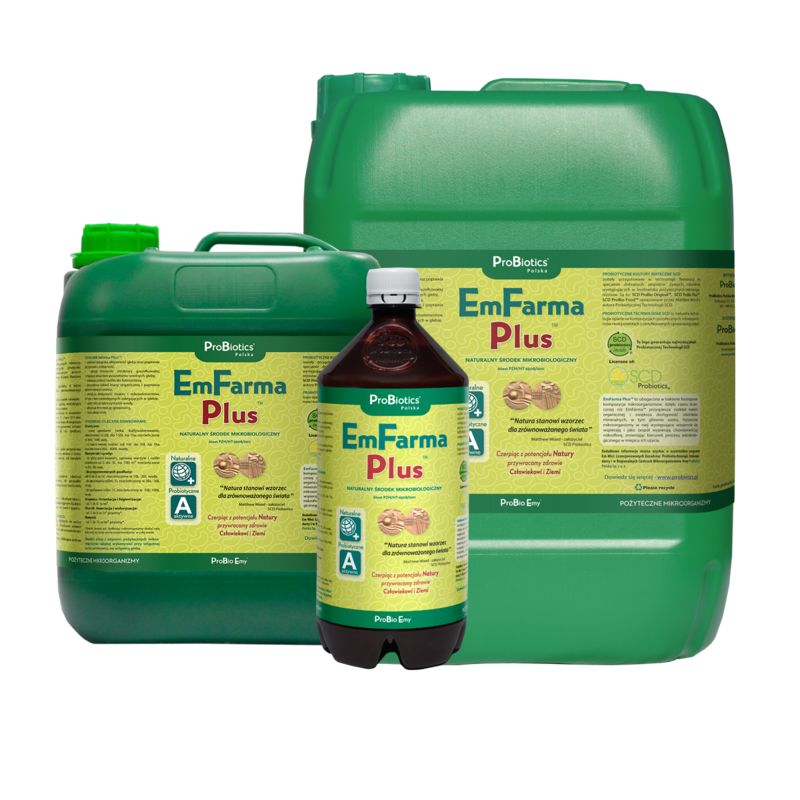 The beneficial microbes that EmFarma Plus™ contains support each other and together outcompete pathogenic microflora, thus changing the direction of the microbiological process into a regenerative or revitalizing one in the place where EmFarma Plus™ is applied. Mother Cultures of SCD ProBio Plus® live microorganisms, organic sugar cane molasses, purified and structured, unchlorinated water, salt, mineral complex. 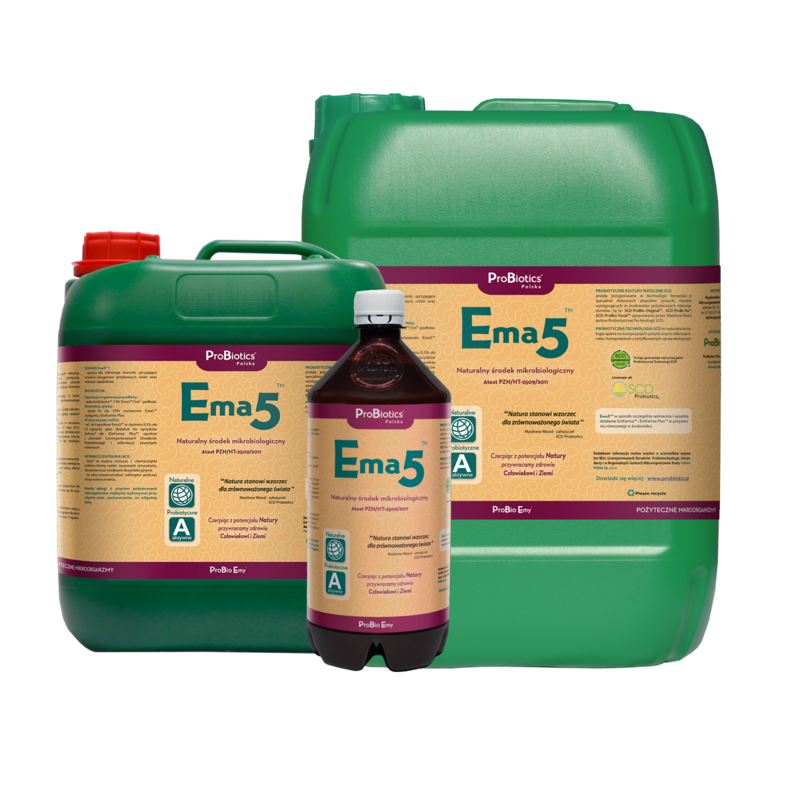 Soil and plant conditioning, neutralizing odors, higienization and biodisinfection of premises.